I don’t know if it’s the software or the hardware, but it rarely works, regardless of the usual troubleshooting steps. I wouldn’t waste my time if I could do it over again. I’d just buy a standalone anemometer. Only connects some times. Not sure how accurate it will be since it crashes constantly. Might be getting returned. Spent $39.00 on the meter. App constantly crashes, fails to detect meter or is delayed in doing so, and the displayed wind speeds??? Highly suspect in terms off accuracy. Ought to work - but doesn't. Cannot recommend at all. Just bought a new WeatherFlow weather meter to take wind readings. 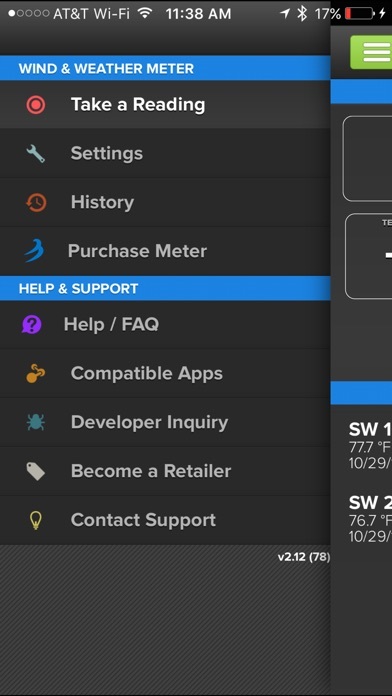 The app connects instantly to the weather meter just by pushing the little button on the meter. 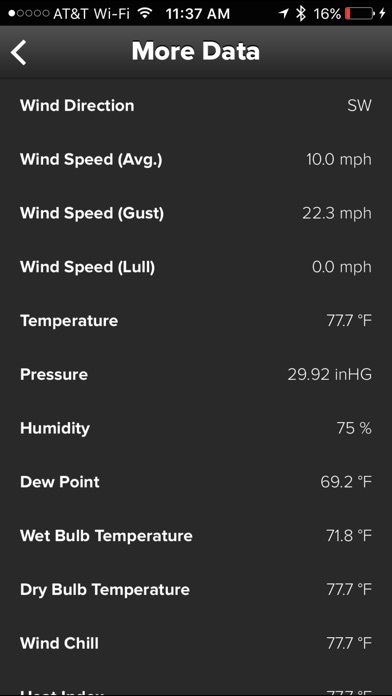 The app was pretty simple to understand — measures wind direction, average and gust plus temp, humidity, pressure and a bunch ‘more data’. 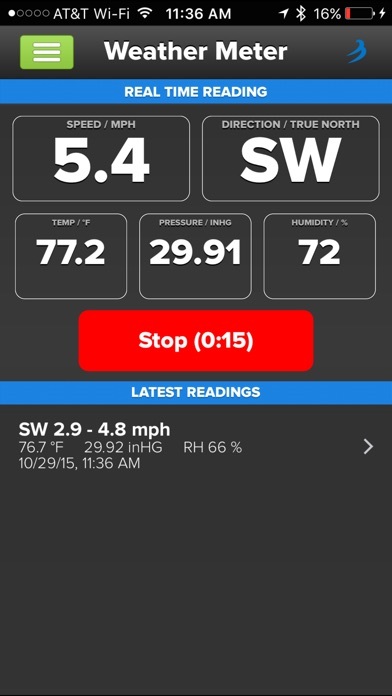 I was able to post my readings to the WindAlert website directly from this app without issue. Looking forward to testing it out in more places. I mean seriously, a 1-star review because you didn't know you needed an instrument to measure the wind??? I guess your phone has a built in anemometer, idiots. Some people don't deserve to have smart phones and several of them are on this apps reviews. Reading reviews for apps shows there is no hope for man kind, here's to hoping the wind blows you all away. Great product WeatherFlow! 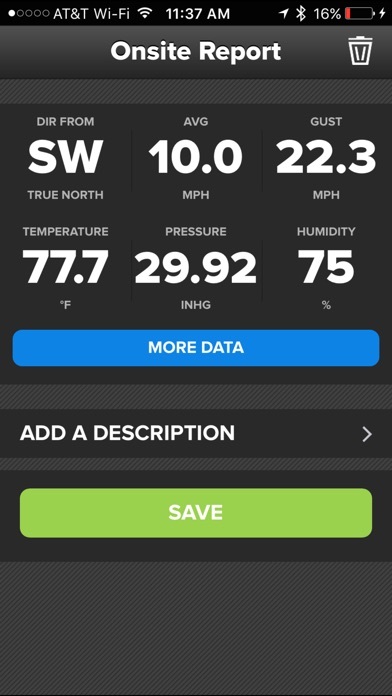 If this app shared its collective wind speed data from all it's users to the NOAA it could improve weather forecasting. Forget this device as there is no back up from the owners. If I did not purchase this through Amazon I would not have been reimbursed for a faulty device. Buy through Amazon if you want it that bad. The owner or developers got 3 emails from me and answered two then silent when they could not fix it. They would not replace it nor let me return it for repair. Bad guys should not be in business. They are destined to fail. Plenty of stand alone wind gauges out there! Skip this trouble.